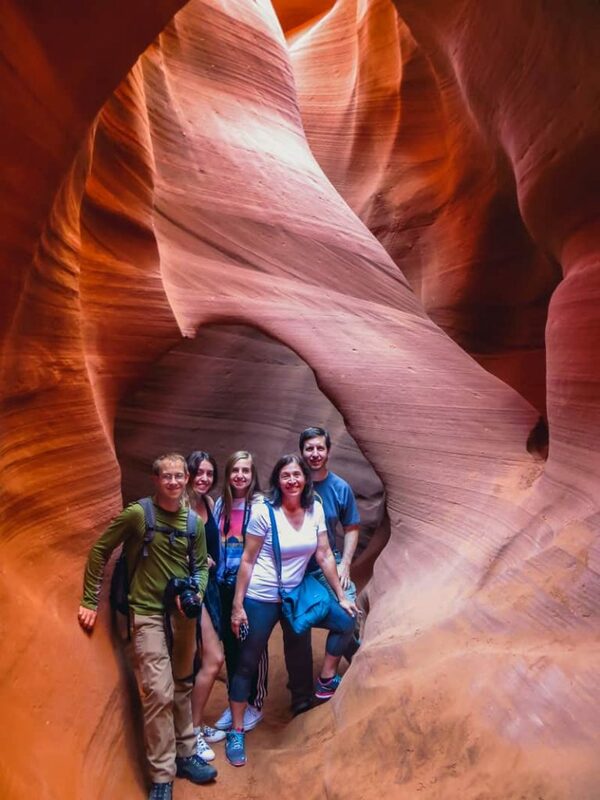 Explore the natural marvels of northern Arizona when you embark on a Private Day Tour of Antelope Canyon from Las Vegas, including Horseshoe Bend. Hidden for centuries beneath Native soil, nature has built a cathedral for herself: a slot canyon still unsurpassed in its beauty, the perfect symphony of sand, stone and light, a maze of marble colored rock layers you won’t find anywhere else in the world. In proverbial touch with earth’s past, our Navajo guide leads us through this sacred site. A visual feast unfolds before our eyes as every step and turn surprises with new sculpture like spires, delicate arches and colorful waves. 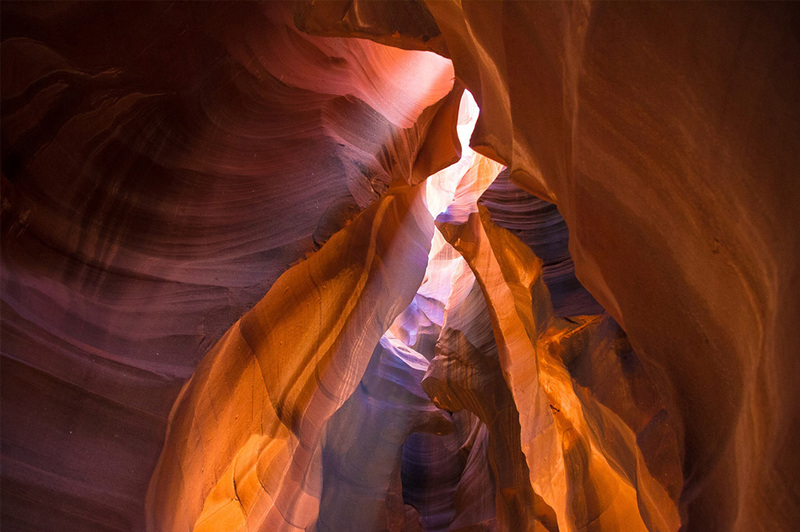 A sandstone spectacle unseen by others, as Antelope Canyon is still being formed by the ferocious forces of seasonal floods. Arguably, not a single disappointing picture has ever been taken in this narrow subterranean ravine. On the contrary, selling for $6,500,000 in 2014, history’s highest priced photograph was shot right here. But it wouldn’t be DETOURS, if Antelope Canyon was the only major attraction, we showed you on this tour. The deep blue waters of man-made Lake Powell appear like a mirage as we approach Indian Country. Yet, its dreamlike shores are real, right where the Great Basin Desert meets monsoon run-offs and molten snow from mountains ranges far away. Just as much a sight to behold is the wallpaper-worthy view of Horseshoe Bend. A short hike takes us to the most captivating curve the Colorado River has carved out on his 1400-mile journey from the Rocky Mountains to the Gulf of California. At this sheer 900ft drop, framed by massive canyon walls, the emerald green sparkly reflections of this ancient stream will surely take your breath away. This is the opportunity to make memories of a lifetime as “nature at its best” awaits you out west. An extraordinary outdoor experience you do not want to miss. Let DETOURS guide and get you there.